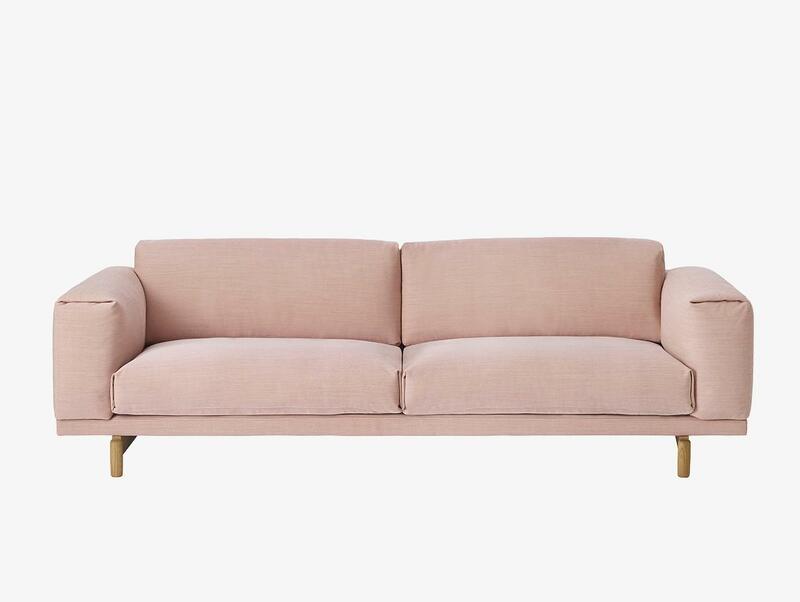 If you were to ask me what my favourite colour is, chances are I’d say pink. 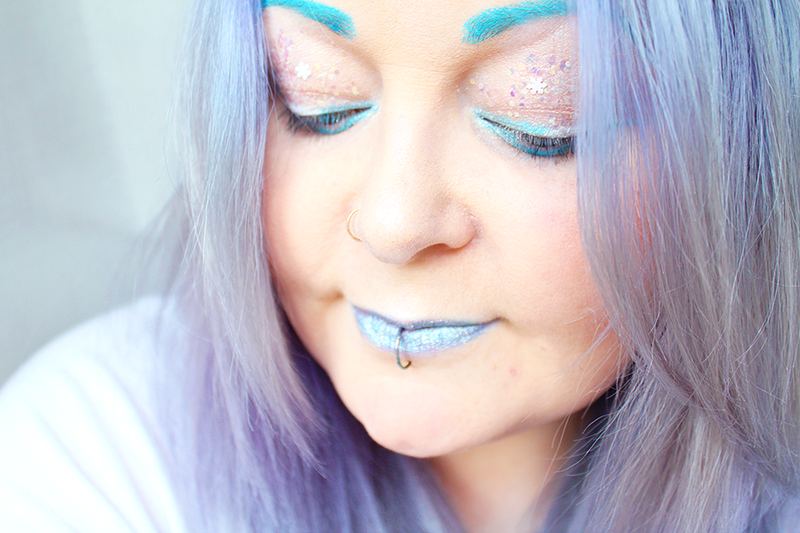 However when it comes to makeup, there’s no way I could simply stick to one colour! 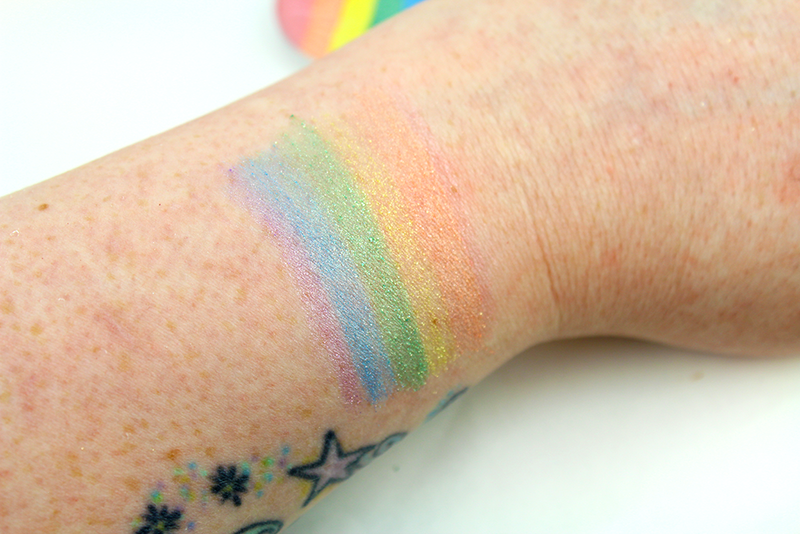 I love trying out new products, exploring the whole rainbow, and trying to push my makeup looks in new and exciting ways. So when I decided to treat myself to one or two little things at the start of the month, I tried to choose a variety. 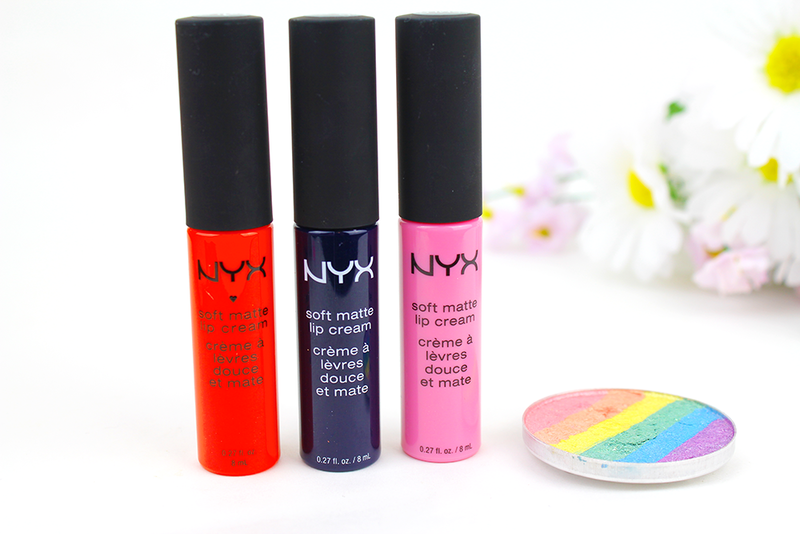 I picked up three Nyx Soft Matte Lip Creams in Moscow (blue), Istanbul (pink) and Morocco (orange/red). 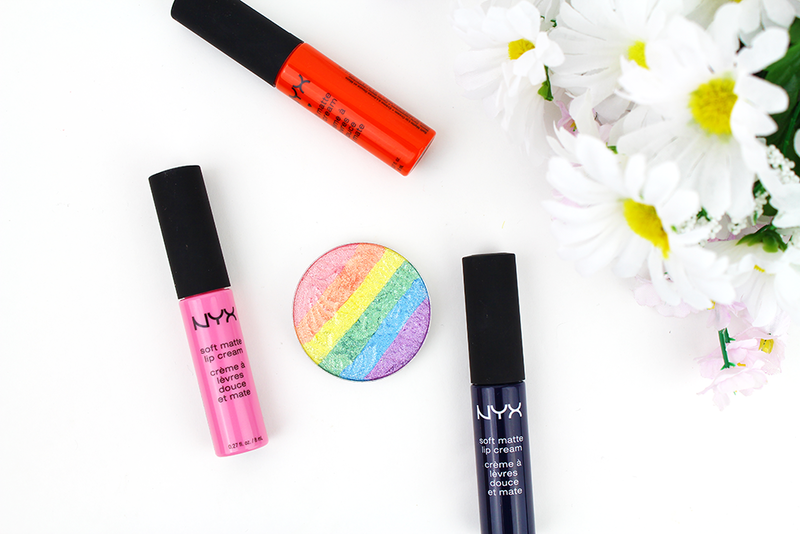 I was so excited to try out Nyx’s matte lip creams as I’d heard such great things about them! 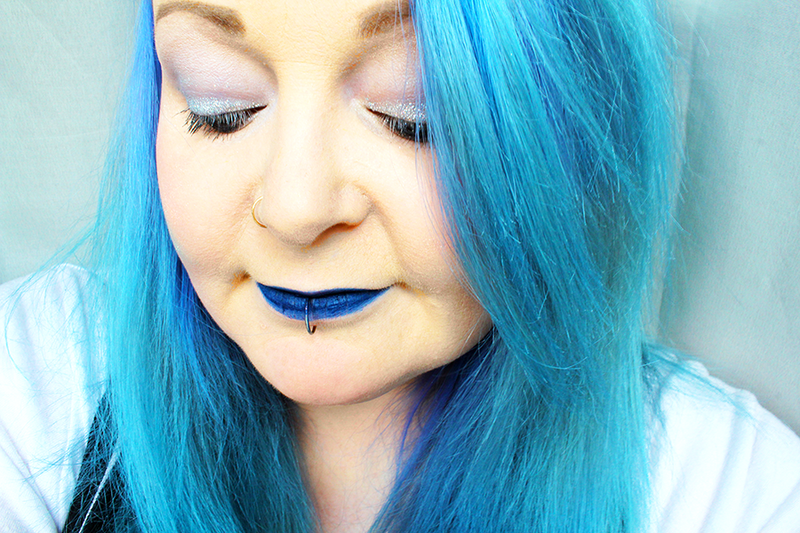 I was so thrilled to finally add a deep blue to my collection of lip products too; something I’ve wanted for a long time. 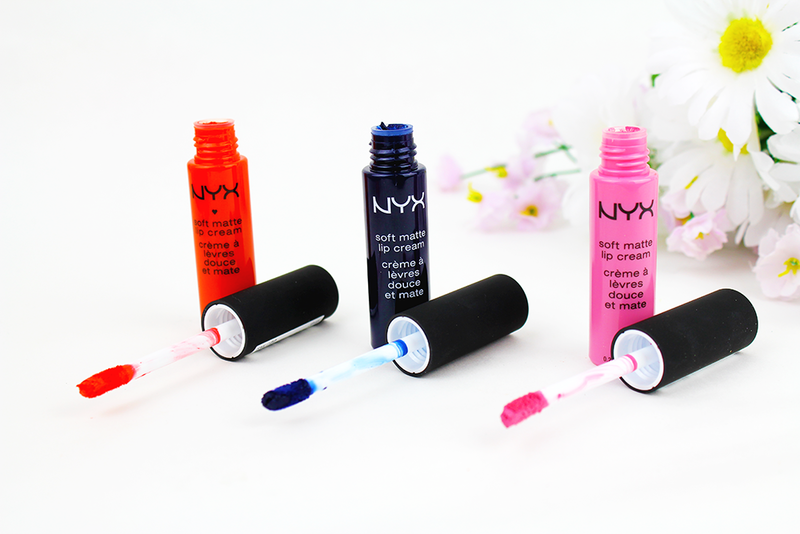 Nyx Soft Matte Lip Creams are priced at just £5.50 on Feel Unique (and most other places), and they are an absolute bargain! 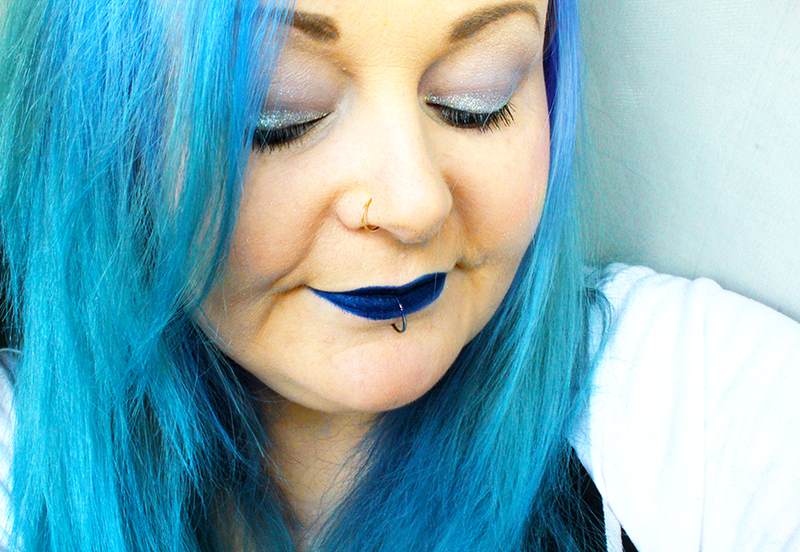 Even a cheap drugstore lippie these days averages at at least £7, so Nyx really are offering a great value for money here. The quality is truly beautiful, you get that stunning matte effect; without the dry lips. YAY. They apply wonderfully, feel soft and smooth, and make it easy to give your lips a bit of super ‘oomph!’. It was a given that Moscow was going to be a favourite of mine, since it matches my hair at the moment (man, my hair really does change with EVERY wash, it was purple a few days ago!). 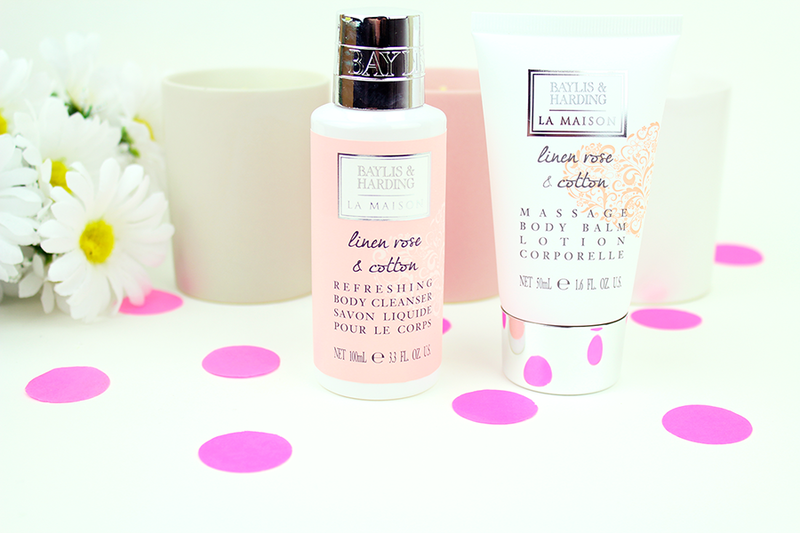 I can’t wait to add more of these to my collection, they are definitely new favourites of mine! 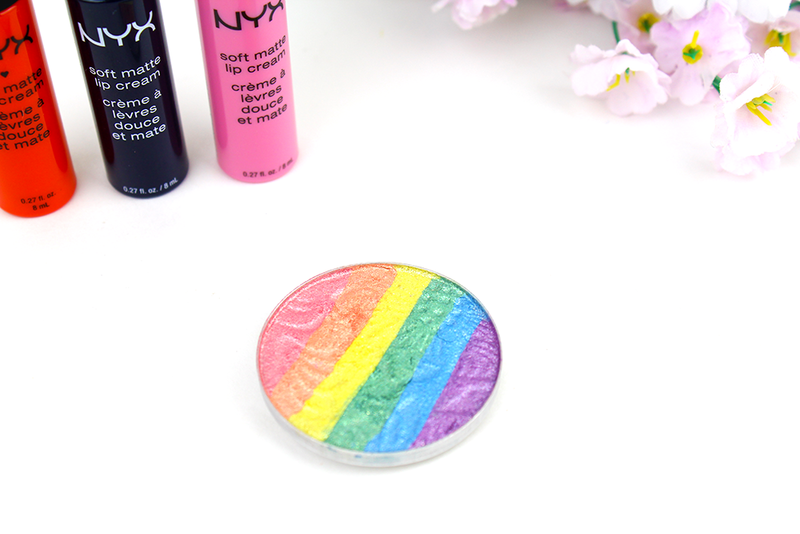 And now onto the rainbow highlighter – eeep! This much coveted product has been all over social media for months now; with everyone trying to grab their hands on it. However the Etsy store it originated from (as far as I can tell) keeps selling out and there’s a huge demand for them online. I had waited months to try it, and finally getting impatient; I ordered one off Ebay. Yep, I know it isn’t going to be exactly the same, but damn it I couldn’t wait. However for such a cheap item (mine cost me less than £5), I’m really happy actually! 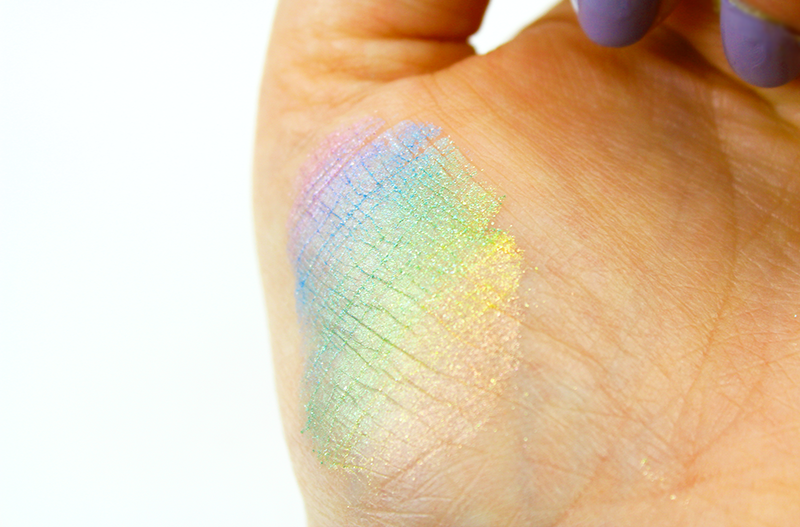 The pigmentation is great, and it looks magical when applied and the light hits it. You can wear it super strong for a fierce look, or more sheer if you aren’t as brave. Never afraid of a bit of colour, I’ve been LOVING wearing it loud and proud. It lasts a few hours without a problem, unless you accidentally rub it off, or scratch your face haha! I promise I’ll get a photo ASAP of me wearing this, but when I was taking these photographs the light wasn’t great. So I’m waiting for the perfect day to debut it on Instagram! However I’m really happy with this product, and I’ll definitely be keeping an eye out on Etsy for others.